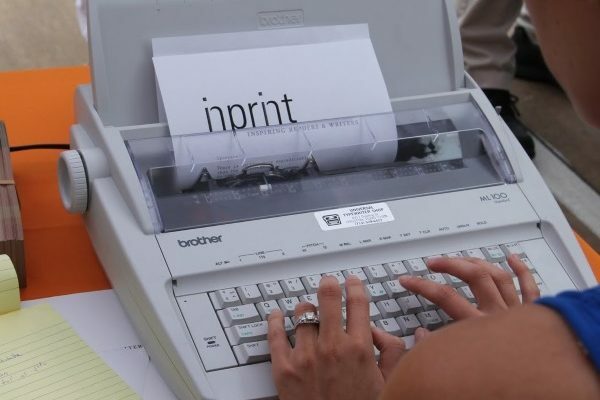 The Inprint Poetry Buskers will be at the Sin Muros Latinx Theatre Festival on Saturday, February 2, from 1 pm – 4 pm, writing free poems for attendees in Spanish. These talented poets, many of whom are graduate students in the University of Houston’s Spanish Creative Writing PhD program, will tap into the muse of immediate inspiration, and using typewriters, create poems on the spot on themes specified by attendees. Stop by the Inprint table, see the Inprint Poetry Buskers in action, and get your very own poem in Spanish which you can cherish forever. 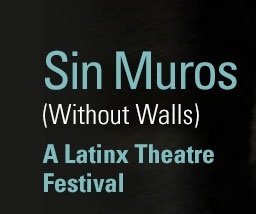 The second annual Sin Muros will include Alex Alpharaoh’s solo show WET: A DACAmented Journey and developmental workshop readings of new plays by Texas playwrights Georgina Escobar, Jasminne Mendez, and Beto O’Byrne. The festival weekend will be filled with public events for audiences and local theatre-makers, including workshops and networking opportunities. 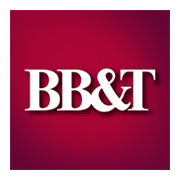 To learn more about the Sin Muros Festival click here.